While debt servicing has been a government priority, declining external liquidity and a deteriorating domestic situation (three-digit hyperinflation, shortages, and a political crisis between the government and the National Assembly) make it a daunting task. By 2020, the country must repay 30 percent of the external debt due to expire in the next 23 years. Venezuela can get access to liquidity via three main ways. The first option is to borrow directly on the financial market which implies that the country must pay an increasingly prohibitive risk premium due to investors’ fear of sovereign default. The second option, used intensively in recent years, is to borrow from allies, and especially China. Since 2009, Venezuela has borrowed at least $60 billion from China (through the Venezuelan-China fund) in exchange for selling oil at a discounted price. Loans were used to pay foreign manufacturers and repay external debt, such as in 2015. This exchange of good practices persisted as long as oil prices were quite high and Venezuela’s political situation was fairly stable. 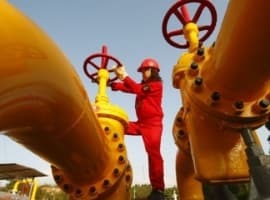 Since 2016, China has made a strategic move to reduce exposure to Venezuela which resulted in the repatriation of Chinese oil engineers (who filled local labour shortages), the end of financial aid, and reduced oil imports. In this context, it is quite unlikely that Venezuela will be able to count on China for repayment of its loans, which increases the probability of sovereign default in the medium term. The last option is through the national oil company, PDVSA (Petróleos de Venezuela SA). As the country’s main source of income and access to foreign currency, PDVSA is key for those seeking to gain a real appreciation of Venezuela’s disarray and economic future. Over the past five years, it has accounted for virtually all of the country’s foreign exchange earnings – about 93 percent. The financial mechanism is quite simple: PDVSA borrows cash in the US financial market via its local subsidiary Citgo Petroleum Corporation, the sixth-largest U.S. refinery, then the money is transferred to PDVSA and a significant part is allocated to Venezuela’s government budget. As bonds are issued under U.S. law, which offer a good level of protection to investors, borrowing rates are more affordable than if bonds were issued under Venezuelan law. Until very recently, this has been the least costly way for the country to borrow. However, access to liquidity and foreign currency is being called into question by PDVSA’s increasing financial difficulties. This dates back to 2003-2004 when then-president Hugo Chavez decided to transfer the majority of PDVSA's revenues to the government budget in order to finance the Bolivarian missions – a series of social programmes – rather than investing in capex to increase the company’s productivity. The lack of investment did not have an immediate impact on PDVSA’s financial situation as long as oil prices were above $100/barrel. 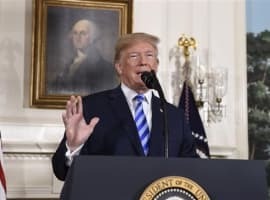 After all, it was enough to cover the cost of producing one barrel of Venezuelan oil (which are among the most expensive barrels in the world to produce at around $23.50 versus $10 in the Arabian Peninsula) ... and to balance the government budget. The fall in oil prices from mid-2014 led to a massive drop in oil production, as well as lower profit margins and tax revenues. So far, PDVSA continues to pay its bondholders cash on the barrelhead, which explains why 80 percent of them buy back bonds when they expire. The company tries to maintain the illusion of a good financial situation, but this is misleading. The company is running out of cash. It keeps repaying bondholders in order not to cut off the Venezuelan government's financing flow but it is already unable to pay the foreign oil field services companies on which it relies. Since 2015, PDVSA has made extensive use of various financial instruments (credit notes and commercial papers) to settle outstanding bills with foreign companies such as General Electric in order to delay the consequences of this problem. These instruments are not very liquid and are subject to haircuts, but they have two main immediate advantages. First, they give PDVSA additional leeway in repaying its creditors, up to six years. Furthermore, they give creditors the possibility of being reimbursed by the confiscation of PDVSA assets upon decision of the International Chamber of Commerce, an independent international organization whose secretariat is in Paris. In the near term, PDVSA faces a challenging debt repayment schedule since it needs to repay $3.2 billion due mostly in October and November. Based on official reports, the company only has $2 billion in cash to service its debt obligations. Nevertheless, a default is unlikely this year; fighting a political crisis and defaulting at the same time would be too complicated to handle. Venezuela still seems willing and able to pay. In the worst-case scenario, PDVSA might use a grace period of a few weeks, as it did last year, in order to pull coins out of the sofa to pay these bills. The company can still obtain a new loan from Russian oil company Rosneft and propose as collateral its oilfield stakes; it could get funding from Venezuela's public banks (which has already been done recently for about $500 million); or the government can decide to use the central bank’s foreign reserves which are officially estimated at $10 billion, of which $1 billion is in cash and $9 billion in gold bars. Nonetheless, default seems inevitable in the medium-term due to the prolonged period of low oil prices and increased U.S. sanctions. President Trump's executive order of August 24, 2017, strengthened sanctions against PDVSA by prohibiting all transactions related to new debt with a maturity greater than 90 days and by forbidding Citgo from repatriating dividends in Venezuela. By cutting access to an essential source of funding, the Trump administration is precipitating the default of PDVSA and, given the key economic role of the company, of Venezuela. Any exit from the crisis will necessarily involve an increase in oil production. Since 2005, the country has been aiming to produce five million barrels per day but this target has never been reached and has been pushed back from year to year. In the first seven months of 2017, average oil production was 1.9 million barrels/day. The objective of multiplying oil production by 2.5 is achievable provided that the government lets the local private sector step in and signs agreements with foreign companies. 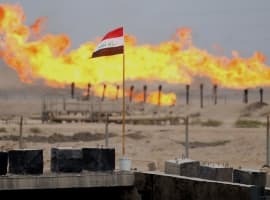 In this respect, it can draw inspiration from the U.S. which has increased oil production from 4.3 million to 9.5 million barrels per day over the past five years by relying on numerous small-scale private shale oil companies. However, this also implies full respect of private property, protection of minority investors, and political stability.
" In this respect, it can draw inspiration from the U.S. which has increased oil production from 4.3 million to 9.5 million barrels per day over the past five years "
Inspiration ? The shale oil "boom" or should we say "kaboom" has destroyed the price of crude and put the entire industry and many countries into complete disarray. What inspiration does this draw ? How to bite the hand that feeds you ? This is a ridiculous statement.